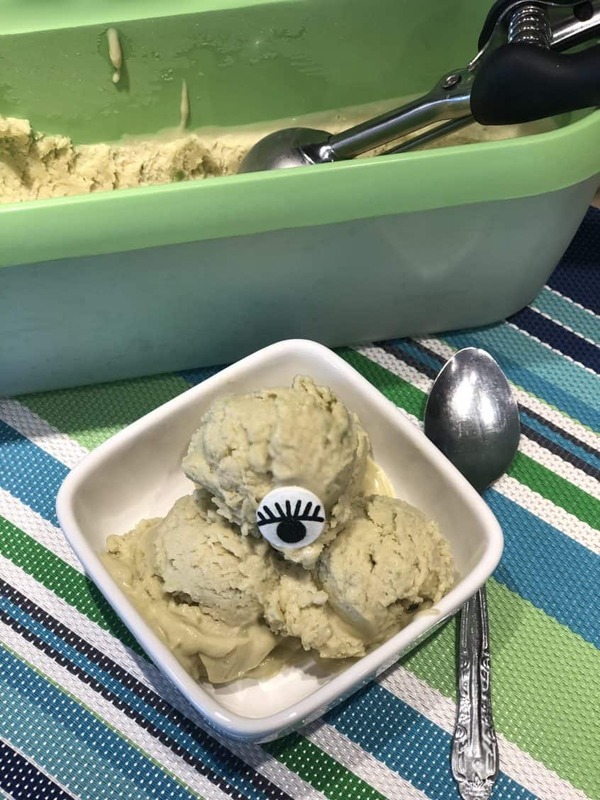 I’m in love with monster cream which is actually Avocado Honey Ice Cream. And, I can’t wait for you to try it. If you follow along with my recipes, you know I spend a decent amount of time finding ways to get kids to eat foods they never though they’d eat. Monster Cream (a.k.a. avocado honey ice cream) is one of those recipes. It’s super easy to make, it’s a great dessert that incorporates an avocado & I think you’re going to love it as much as I do. It’s rich and creamy and you can’t even tell that an avocado is in the mix. Peel the avocado and remove the nut (see below). Using a fork or avocado utensil, mash the avocado together with the honey and vanilla. Whip the whipping cream with an electric mixer. Once the peeks begin to form and the cream is stiffening, slowly add in the avocado mixture. Mix the ingredients together well. Pour the avocado cream into a freezer container and place it in the freezer overnight. Scoop and serve this delicious dessert. You will never taste the avocado. Optional: Add some monster candy eyes to the mix. How to peel and avocado? Wash and dry the avocado. Grip the avocado gently on one side with one hand. With a large, sharp knife in the other hand, cut the avocado lengthwise around the seed. Twist the separated halves and open the two halves to expose the pit. Note: use the bear claw hold method to protect fingers in starting the process. Gently tap the pit with a knife with enough force so that the knife-edge wedges into the pit, but not so hard as to cut all the way through it. Twist the pit out. Scoop out the contents of the avocado. Want to try another recipe with avocado in it? 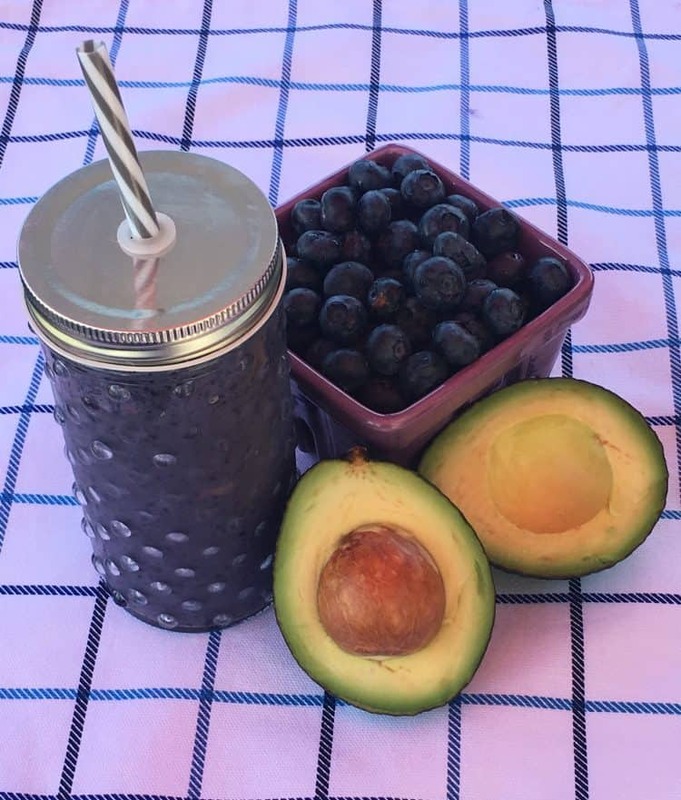 Check out my Blueberry Avocado Smoothie Recipe. You can’t taste the avocado in the recipe. The avocado actually helps to make this recipe rich and creamy. Click Here, grab your blender & have fun mixing this delicious smoothie for a little sip, sipping yum.